PDAs go beyond the grassy knolls of Echo Park Lake… Although you’re more than welcome to make-out, high school-style, all day Saturday, too. 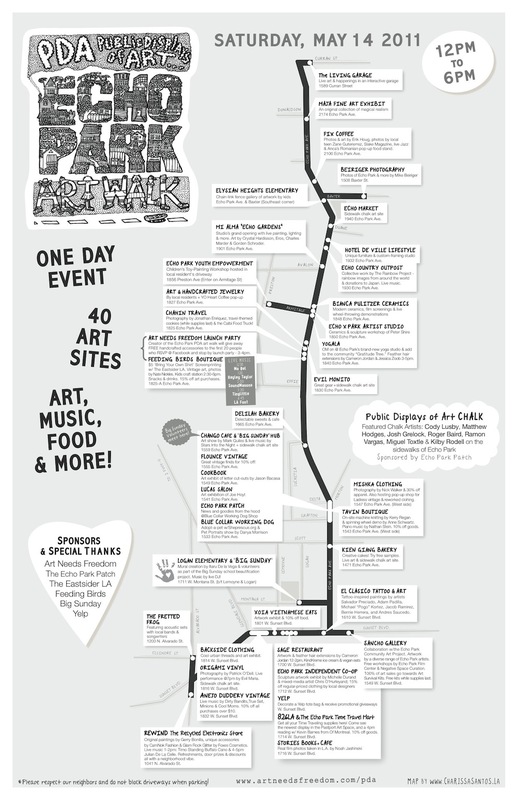 For a detailed PDF of the event, spanning the distance between Alvarado and Echo Park Avenue on Sunset Blvd., and along Curran to Sunset on Echo Park Avenue, click here: Art Needs Freedom – 2011 Echo Park Art Walk Map. The event is the brainchild of Heather Mendoza of Art Needs Freedom, with sponsorship from the Eastsider LA and the Echo Park Patch.